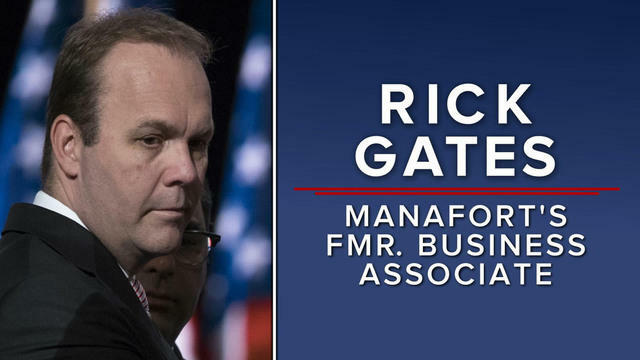 The news is out already that the president’s former campaign manager Paul Manafort’s long time business associate and campaign deputy Rick Gates has pled guilty in exchange for a plea deal with the FBI in its Trump-Russia probe. In the plea deal, the name that pops up is the republican California US congressional Rep. Dana Rohrabacher, a well known Russian apologist. This news reminds me of the following story. But why would Representative Rohrabacher’s name be mentioned in the FBI’s plea deal with Rick Gates? In an aside, this story tells me that republicans were already fully aware that President Donald Trump was probably in the pocket of Russia as they supported him to become our 45th US president. During a congressional trip to Russia in 2016, Rohrabacher and his longtime friend and employee Paul Behrends met privately with high-ranking Russian justice officials. 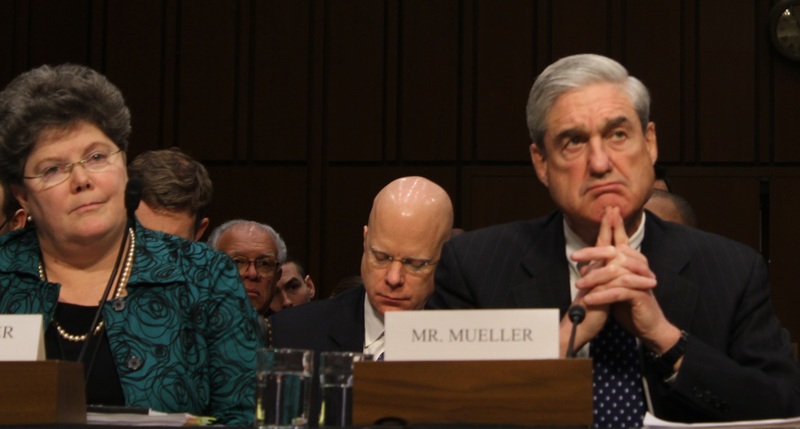 At the time, Congress was considering expanding the 2012 Magnitsky Act, which prevented Russians believed to be involved in certain human rights abuses from traveling to the United States or spending money in the country. The law was named for whistle-blowing lawyer Sergei Magnitsky, who died under suspicious circumstances in a Russian prison after he accused several top Russian officials of misappropriating $230 million in taxes. Russian President Vladimir Putin was incensed by the restrictions. In retaliation, he halted U.S. adoptions of Russian children. Around the same time as Rohrabacher was organizing the subcommittee hearing that never happened, the president’s eldest son, Donald Trump Jr., agreed to meet with some people with Russian ties after he was told he would be given derogatory information about Clinton, the Democratic presidential nominee, as “part of Russia and its government’s support for Mr. Trump,” according to emails. He brought along his brother-in-law, Jared Kushner, and then-Trump campaign chairman, Paul Manafort, to the Trump Tower gathering. Veselnitskaya provided Trump Jr. with material she said showed improper donations to the Democratic National Committee. Then Veselnitskaya and Akhmetshin began to talk about the Magnitsky Act and Russian adoptions, according to multiple news accounts. Huntington Beach businessman Ike Kaveladze also attended the meeting. Rohrabacher said in an interview he’d never heard of Kaveladze, a constituent who lives near Rohrabacher’s Costa Mesa home, until after the Los Angeles Times identified him as a meeting attendee. 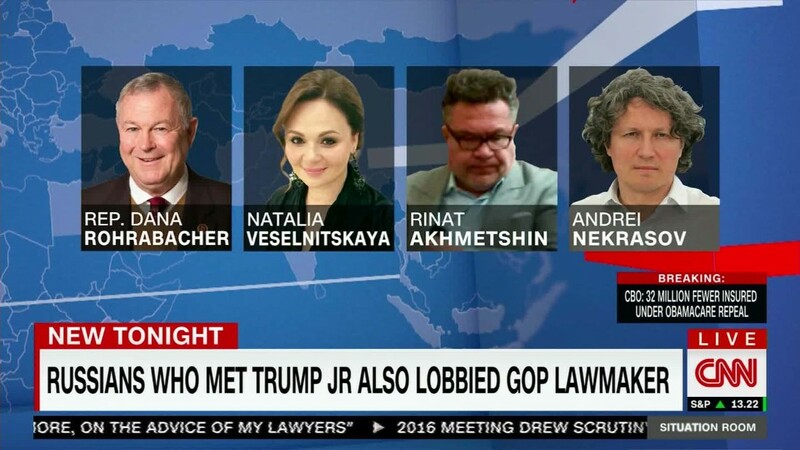 Reports on who attended the meeting thrust Rohrabacher’s efforts to remove Magnitsky’s name from the sanctions law back into the spotlight. House Majority Leader Kevin McCarthy, a GOP California colleague of Rohrabacher’s, speculated in a private meeting that Trump and Rohrabacher were being paid by Russian President Vladimir Putin. “There’s two people I think Putin pays: Rohrabacher and Trump,” McCarthy (R-Bakersfield) said in a recording of the exchange, first reported by the Washington Post in May. At that point, House Speaker Paul D. Ryan cut off the conversation and swore those who were there to secrecy. A transcript of the tape noted that McCarthy was laughing during the conversation with other Republican leaders. 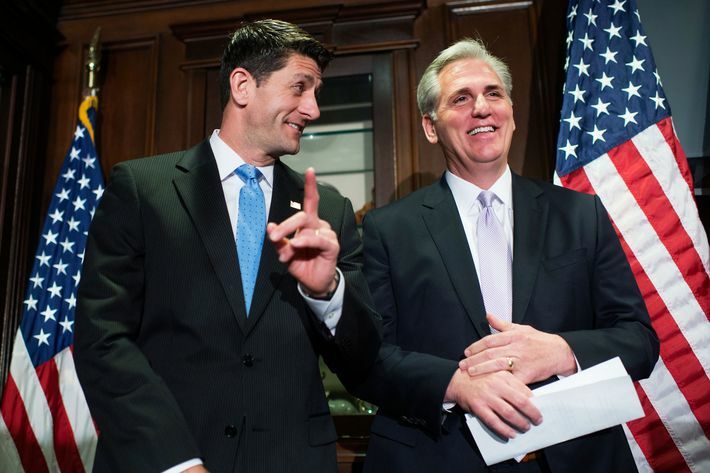 After the transcript leaked, both McCarthy and Ryan said the comment had been a joke. Rohrabacher allegedly met in Washington with Trump campaign advisor Michael Flynn in the weeks before the election. Also attending were Flynn’s son, Michael G. Flynn, and Flynn’s lobbying associates at the Flynn Intel Group. Flynn went on to briefly serve as National Security Advisor in the Trump administration before he was caught lying about conversations with the Russian Ambassador, prompting an intense look by the FBI into past work with foreign governments done by Flynn and his son. In November 2017, NBC News reported that the FBI was interviewing witnesses about the content of the meeting Rohrabacher attended. After promoting a trip to meet with the Russian parliament in January, Rohrabacher canceled it with no notice weeks later. Rohrabacher said in an interview that he decided not to go because he was worried the national focus on Russia would make it difficult to have serious conversations with Russian officials. But a senior House GOP aide who asked not to be identified because he was not authorized to speak to reporters said Royce declined Rohrabacher’s request to travel to Moscow shortly after the inauguration. Rohrabacher has now been accused of violating the Russian sanctions he fought against by the man who convinced Congress to approve them. Such complaints are most commonly made about the actions of big banks or private citizens, not a sitting member of Congress. Rohrabacher traveled to London during the August congressional recess to meet with WikiLeaks founder Julian Assange, who is living in asylum at the Ecuadorean embassy there. The meeting was arranged by far-right blogger and provocateur Chuck Johnson. Rohrabacher said in a statement afterward that the Australian fugitive “emphatically stated that the Russians were not involved” in the theft of Democratic National Committee emails during the 2016 presidential campaign. I suspect we will be hearing much more about this congressman’s involvement in the Russian Investigation. I think that he will be indicted very soon and followed closely by Jared Corey Kushner and possibly Little Mini Me Donnie! I suspect that you may be right. The dominoes are falling. The question is who is next in line to be indicted. It could be Rep. Rohrabacher or Jared Kushner. There has to be a reason the FBI is not clearing Mr. Kushner. In this case you may be right. I’m surprised that he hasn’t been subject to more scrutiny. Gronda, thanks for the reminder of the Kevin McCarthy. It should have given the GOP pause before the aligned themselves with this dishonorable man. Just yesterday, we learned there was a glaring omission in the new North Korea sanctions on countries shipping to and from NK. Six countries were listed except for Russia, who the CIA suspects in doing illegal trade with them. Why? This is on top of the decision not to extend almost unanimously approved sanctions on Russia and not to overtly condemn Russia for the incontrovertible evidence of interference. Why? I missed that story. Everything President does regarding Russia betrays him as being a Russian asset. I am beginning to think that the main reason many republicans in the US Congress keep covering for him is because when the full story is revealed, they will have a hard time explaining their actions of supporting a Russian asset in the White House. Gronda, that is a plausible reason. The reality as well as the optics are bad when we wake up to headlines that read “Former Trump Aide Pleads Guilty.” So far, there have been five guilty pleas, with three of them who worked for Trump either after or during the alleged wrongdoing. Here is something that people seem to let slide, Julian Assange has been hacking and leaking top secret United States government files since 2003. He is a wanted man which is why he has been in hiding so that the United States cannot extradite him and force him to face his crimes. Rohrabacher knew this and still willfully and with full knowledge of this situation met with this person in order to gain information for Trump, not to arrest him for crimes against the United States but for information for Trump. Why has he not been tried for treason? Why is this not on every front page everywhere? I like Mr. Crustyolemothman think that he will be the next domino to fall. He not only dealt with Julian Assange, he was very motivated and acted to do his part to repeal the Magnitsky Act in 2016. He has managed to remain pretty much under the radar but those days are coming to a close. There may be another special election in California before long.